News: White heading to Wasps? 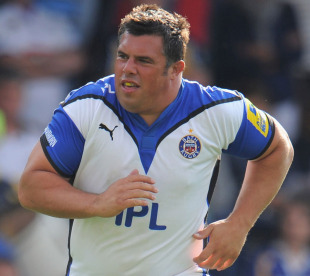 Bath prop Duncan Bell has reacted with relief after a Rugby Football Union disciplinary panel dismissed an eye-gouging charge against him on Monday night. The former England international was cited for "making contact with the eye or eye area" of Sale forward Chris Jones in Bath's Aviva Premiership victory at Edgeley Park on February 11. But the case was dismissed after Bell successfully argued to the panel, chaired by RFU disciplinary chief Judge Jeff Blackett, that he had grabbed Jones' head-guard while defending himself. Bell posted his reaction to the decision on Twitter, saying: "A massive Belly thanks to everyone who supported me through this horrible situation. A heinous crime to be accused of. Glad it's over." Meanwhile, Northampton No.8 Roger Wilson was banned for two weeks after pleading guilty to stamping on Saracens opposite number Ernst Joubert. The RFU's disciplinary panel determined Wilson made contact with Joubert's chest rather than his head and credited him for the guilty plea. Northampton, without a win in their last four league games, have now lost Wilson for fixtures against Gloucester next Saturday and Exeter the following weekend. Wilson, 29, can resume playing on March 8.